Size - 96 x 96 mm. sq. Three Phase 100 KVA TO 5 MVA NITEL H.T.Industrial A.V.R. We have emerged as one of the most trustworthy name of the industry for presenting a wide range of Automatic Voltage Controller. 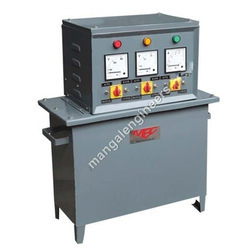 We are engaged in offering a proven range of automatic voltage controller that is used for maintaining the desired voltage and to reduce the breakdown of electrical equipments due to low or high voltage. These automatic voltage controllers are suitable for all electrical equipment and are available in the range of 30 kva to 3500 kva. 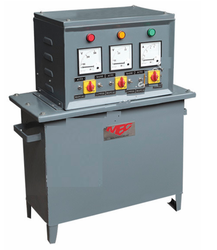 We are one of the reputed organization engaged in manufacturing superior quality Automatic Voltage Controller. These Automatic Voltage Controller are good demand in the market due to high quality and durability. - Apart from providing voltage stabilization, our servo voltage stabilizers also offer energy conservation possibilities by OPTIMIZING voltage supply to equipments. - A regular voltage supply also ensures long motor life. - 100 % Duty cycle.